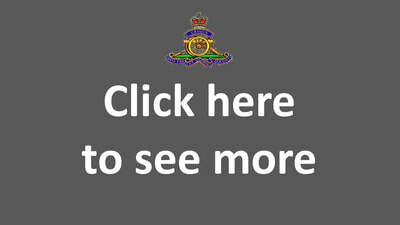 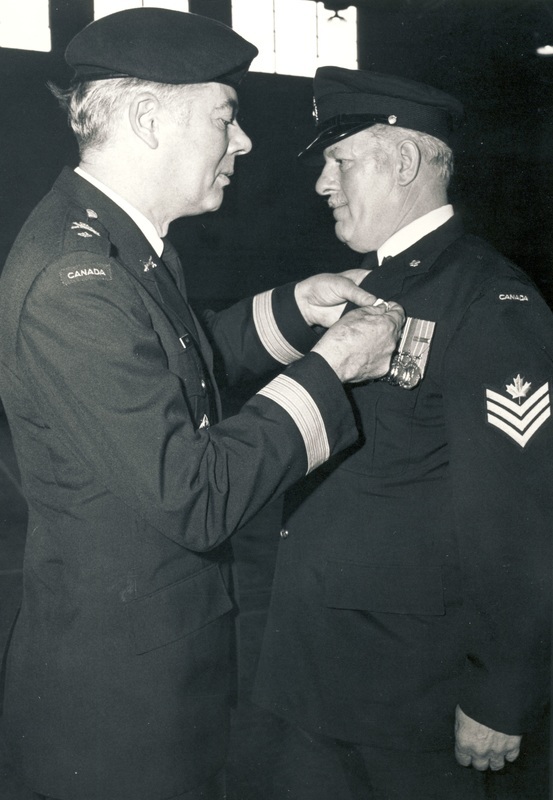 Major Stuart T. McDonald CD promoted Lieutenant-Colonel and appointed Commanding Officer. 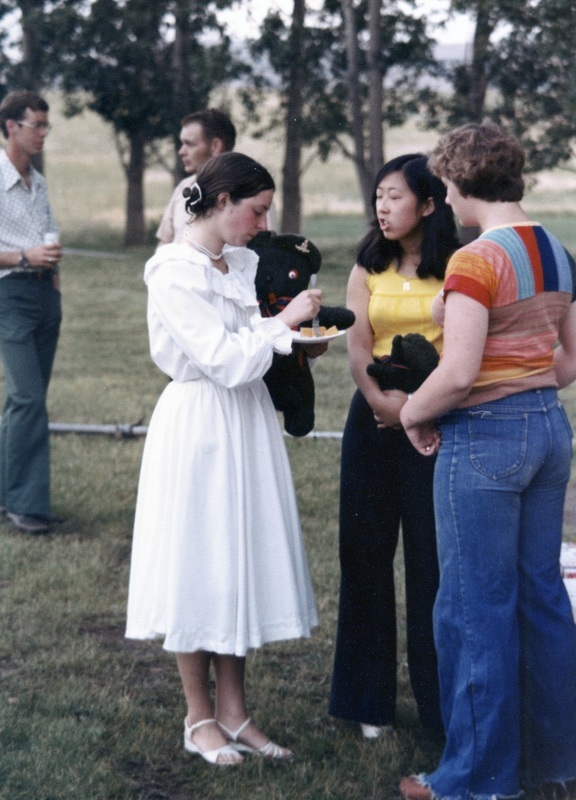 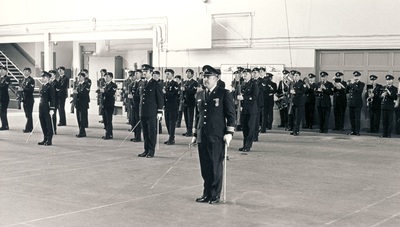 In order that the list of those to be honoured would be representative of all the regions of Canada, agencies of government at the federal, provincial, and local levels were invited to propose the names of candidates for the medal. 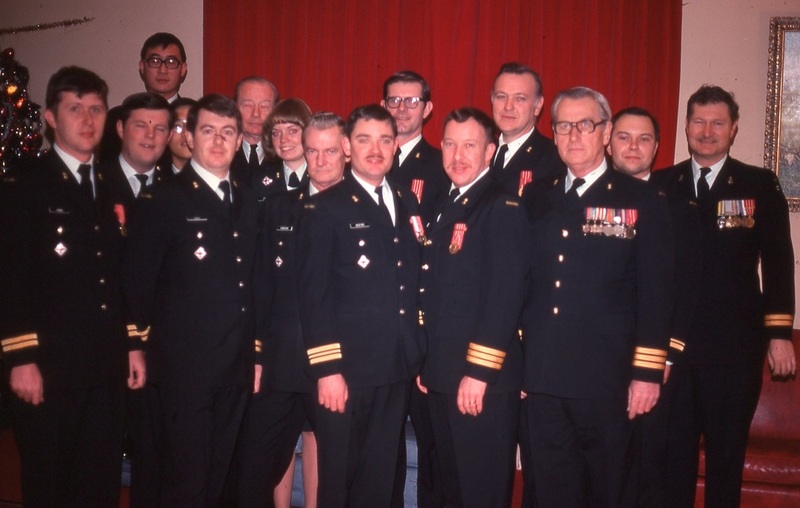 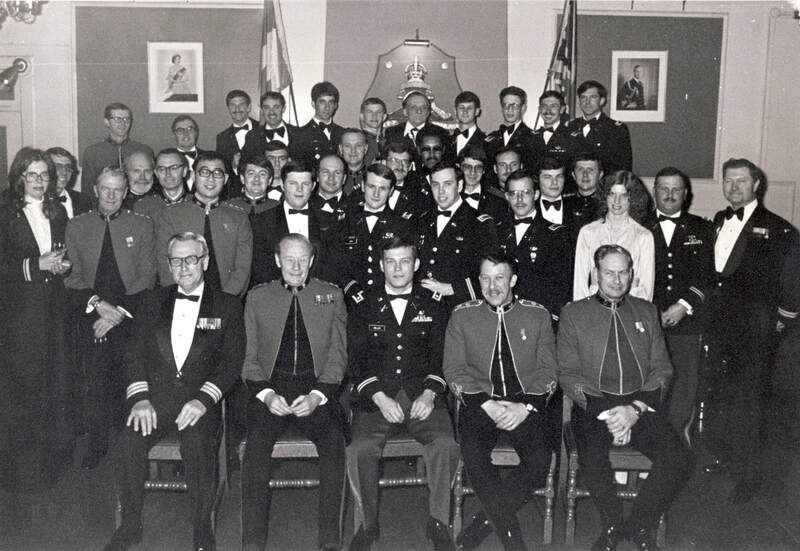 All members of the Order of Canada, Order of Military Merit and winners of the Canadian Bravery Decorations received the medal. 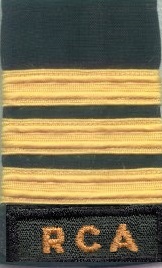 Selection for the Armed Forces was based on merit with length of service and prestige of current appointment as secondary consideration. 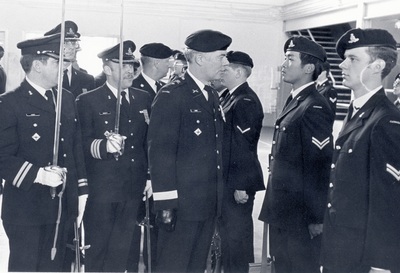 Lieutenant-Colonel Bill WT Wicket, CD and Sergeant Gordie Wright, CD were presented the medal at the Change of Command Parade. 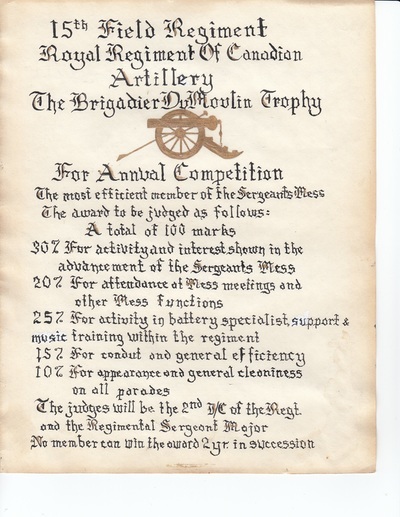 This award is presented to the most efficient recruit from the start of the training period in September of the previous year. This year’s winner of the trophy is Private (Recruit) P.J. McLean. 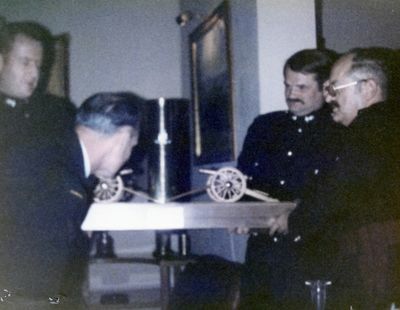 ​This trophy was created by his close friends in the Regiment, Gunner Noel RR Dykes, Gunner Joseph C. Gauthier, Gunner Reginald Gerard, Gunner Harry Harsch and Gunner Vivian Hughes after his untimely death in a vehicle accident in 1974. It is presented to the Gunner that most exemplifies the best characteristics of being a Gunner. 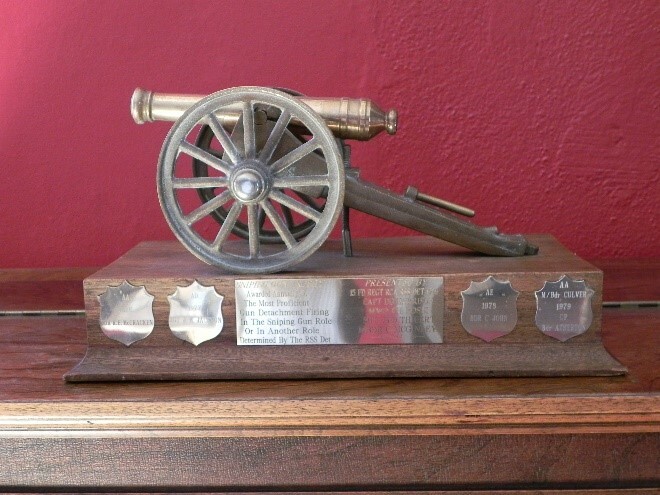 This year’s award is presented to Gunner (now Bombardier). 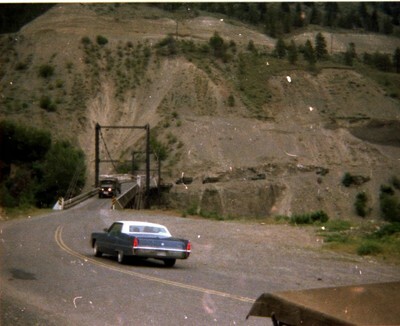 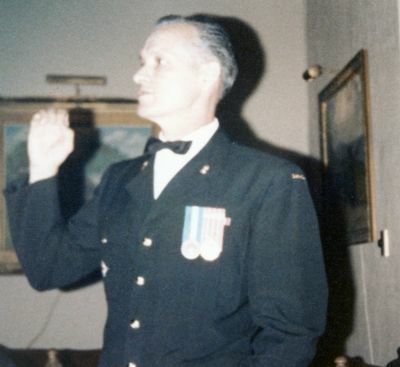 L.J. 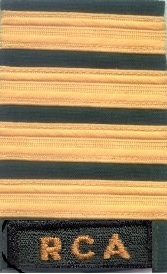 Pesklevits. 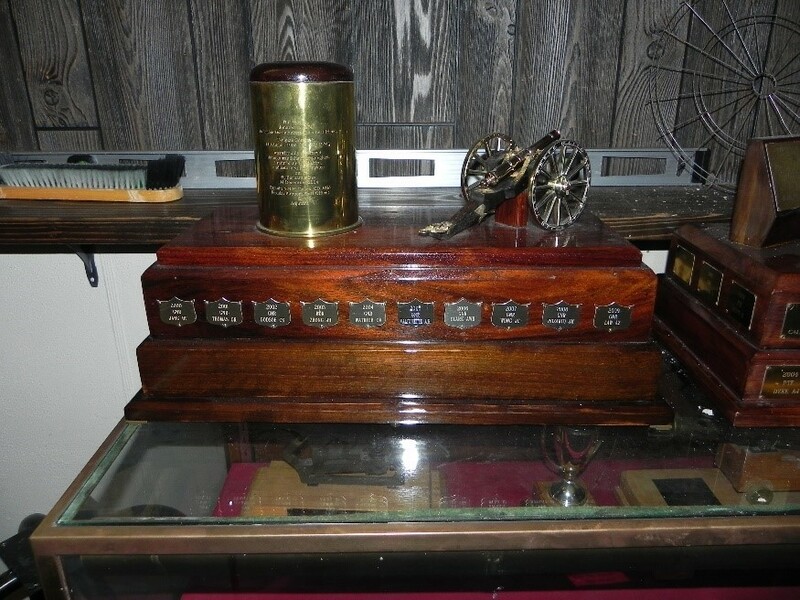 This trophy is awarded annually to the most proficient gun detachment firing in the sniping gun role or in another role determined by the regular force support staff. 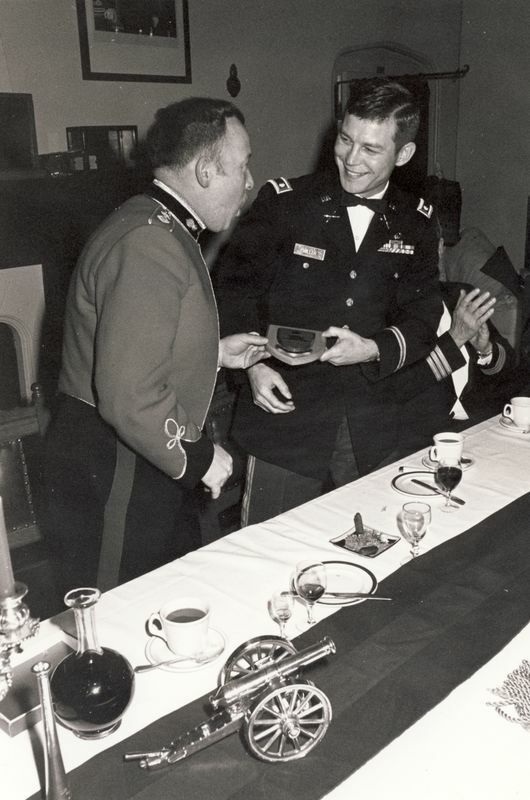 It was originally created and presented by the current detachment: Captain DB Harrison, Master Warrant Officer Fred H Rossi, Sergeant JYD Thiebert and Master Bombardier C McGinley. This year’s winner was AE gun detachment commanded by Bombardier Clifton John. 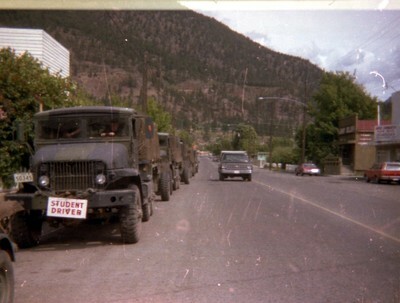 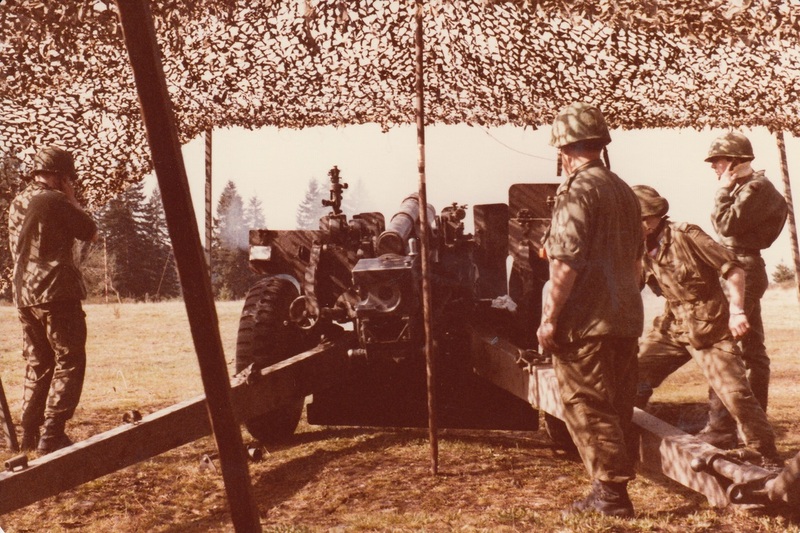 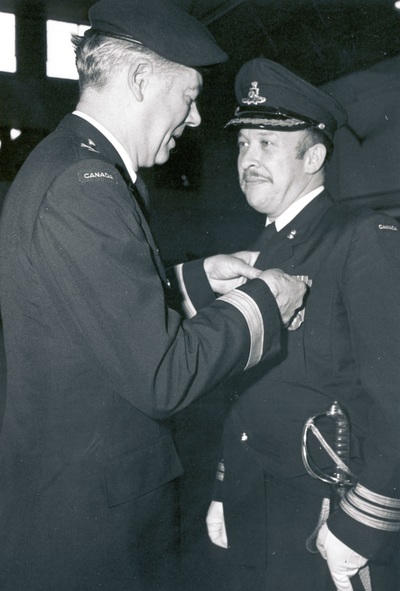 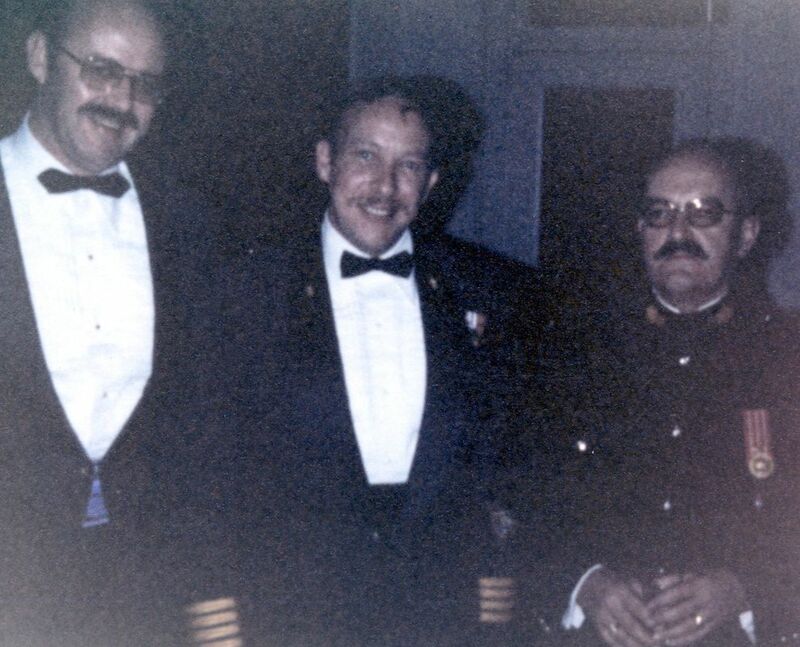 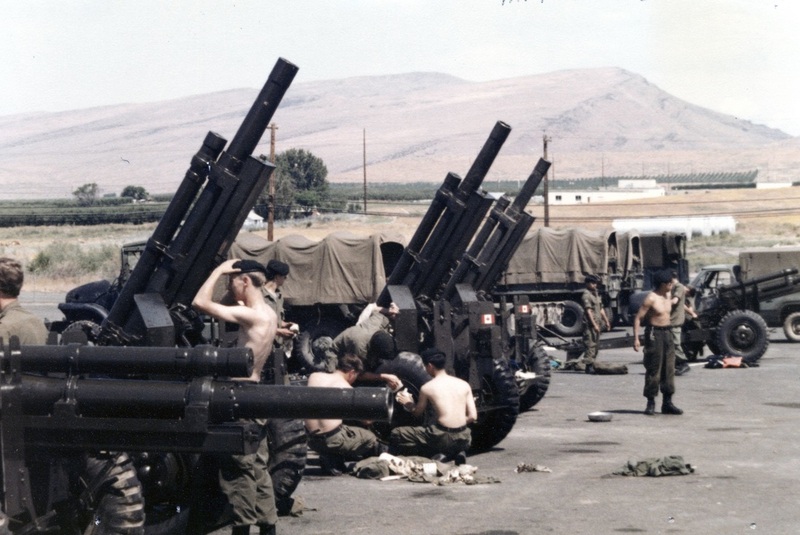 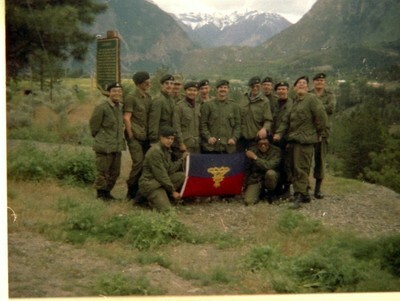 July 1978 Bombardier Joseph C. Gauthier deploys to Rabah, Egypt at the rank of Gunner. 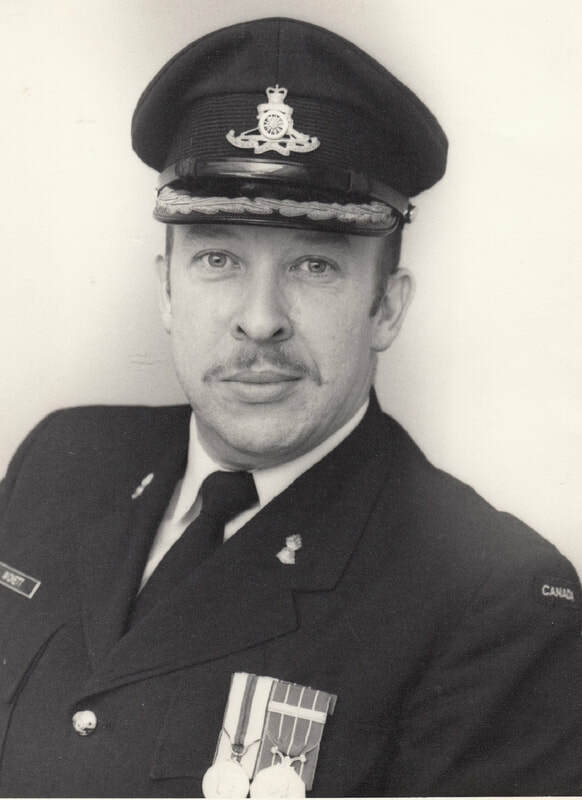 August 1978 Bombardier Terry Harmon deploys to the Sinai. 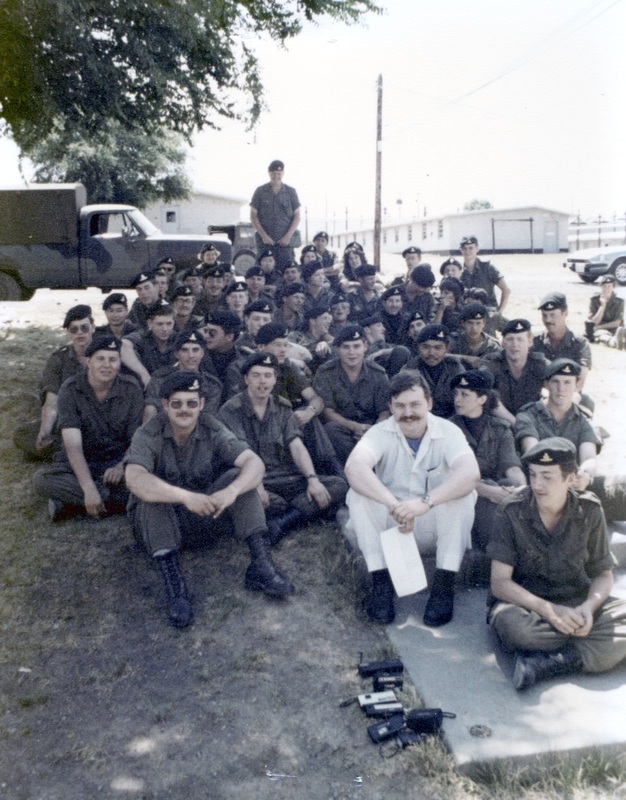 August 1978 Bombardier Mike Hennessy deploys to Ismailia, at the rank of Gunner as a Supply Technician. 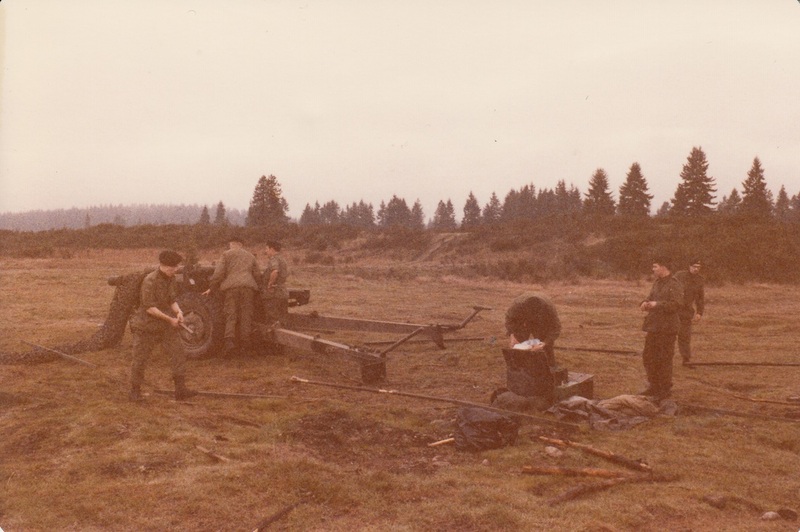 November 1978 Bombardier Noel RR Dykes deploys to Ismailia at the rank of Gunner as a Supply Technician. 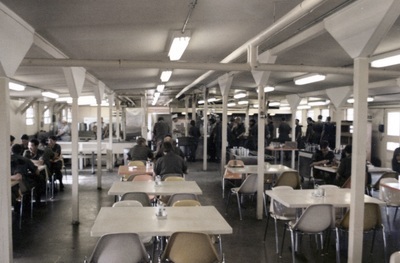 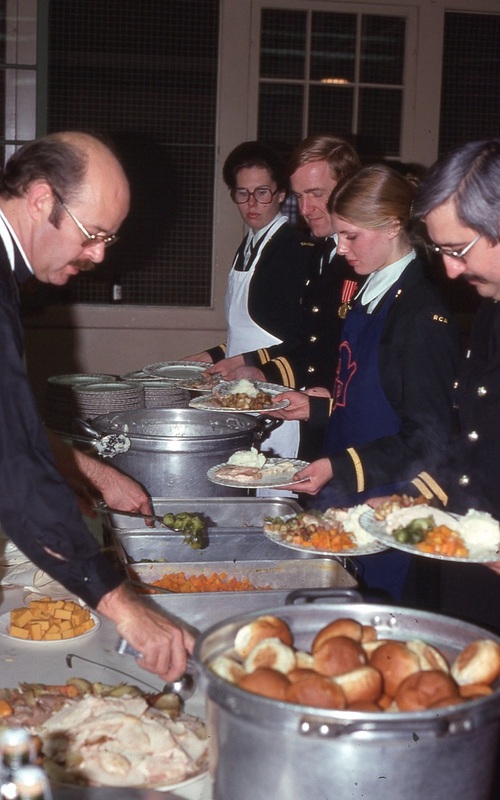 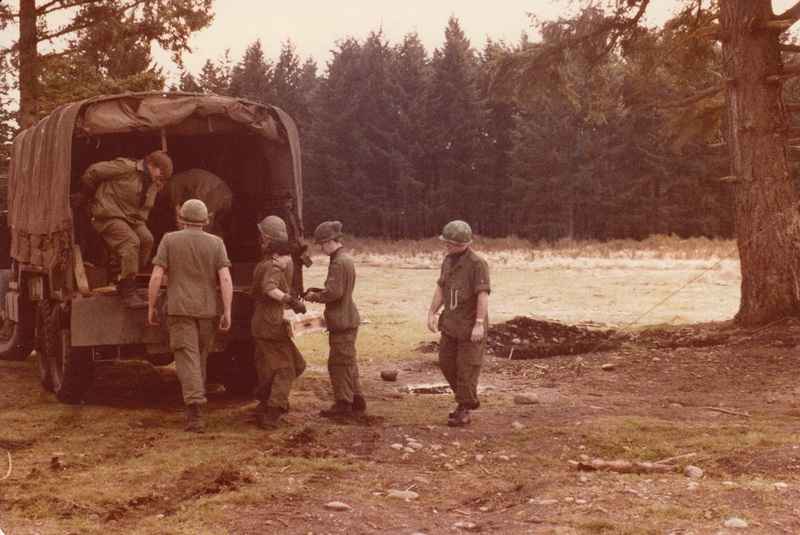 December 1978 Gunner Richard Fowler deploys to Ismailia as a Supply Technician. 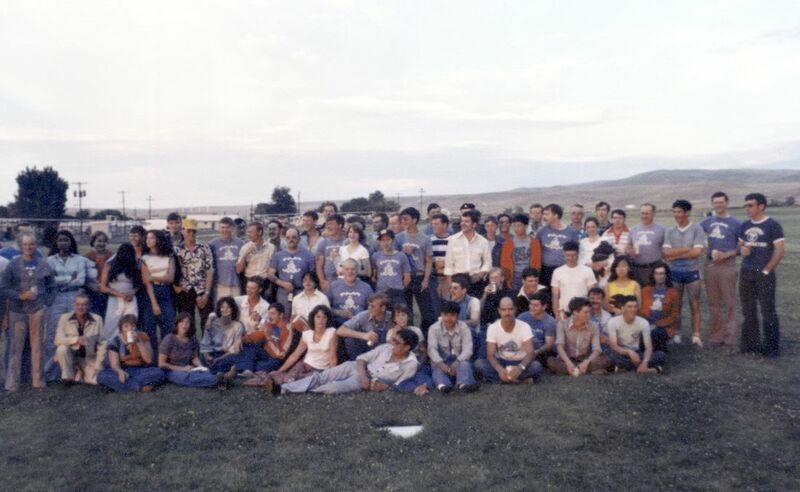 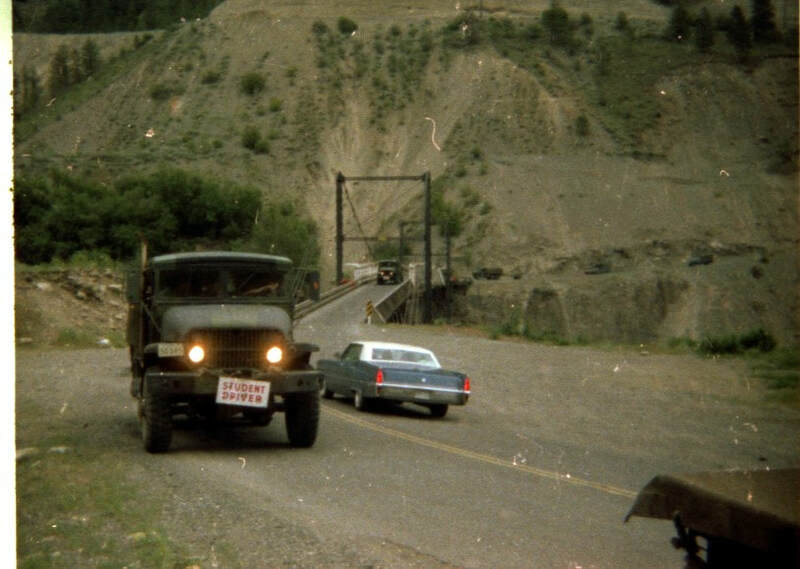 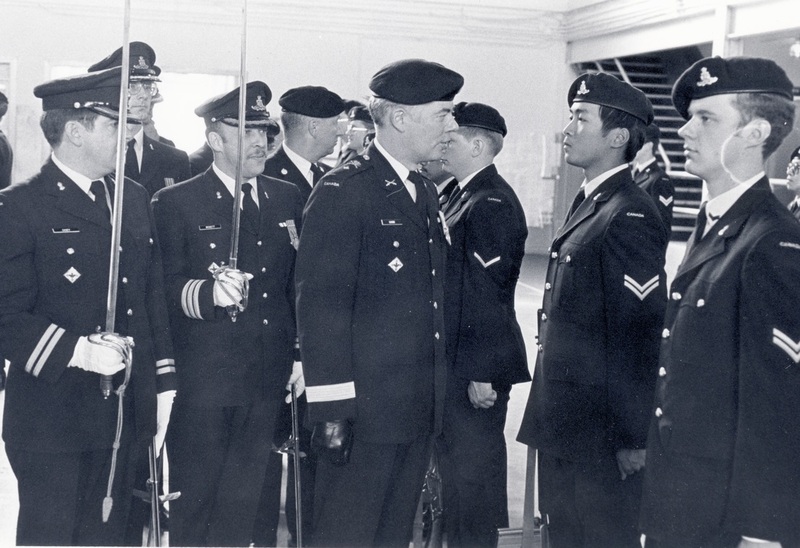 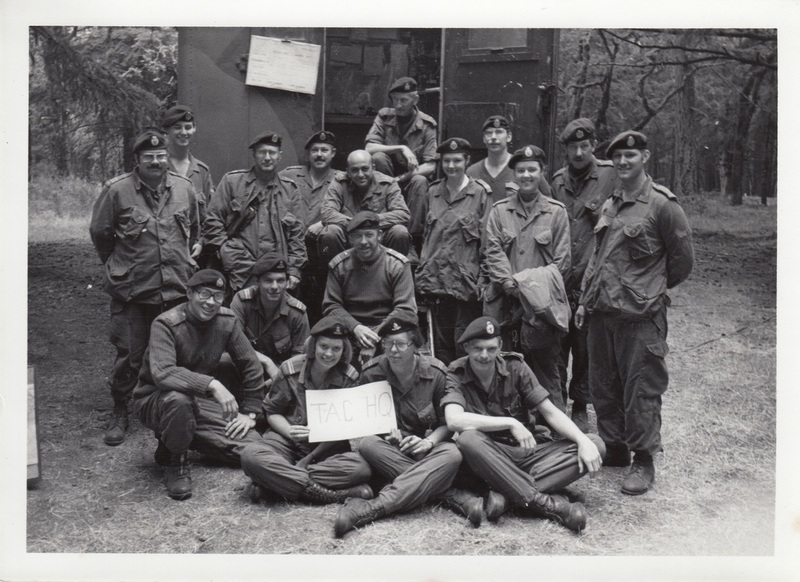 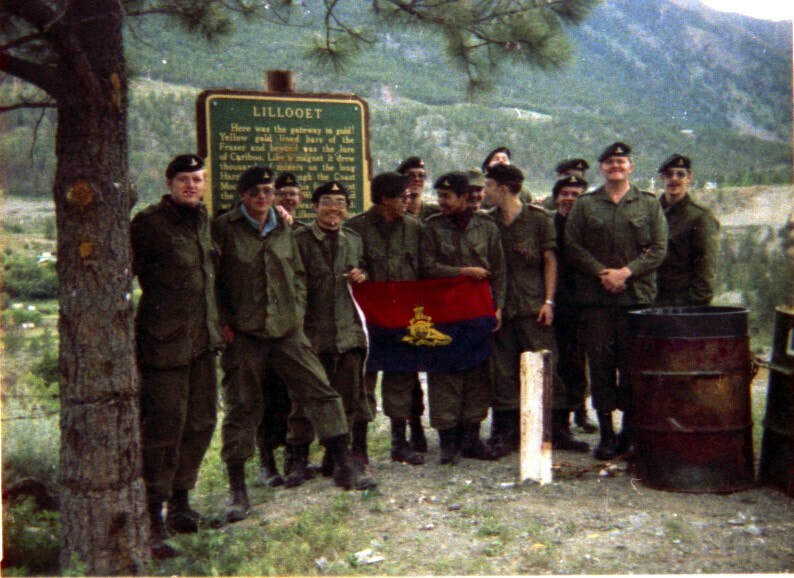 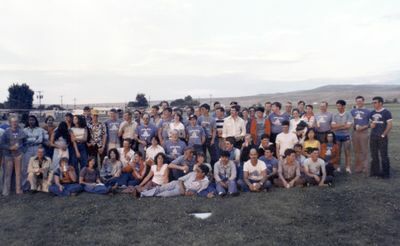 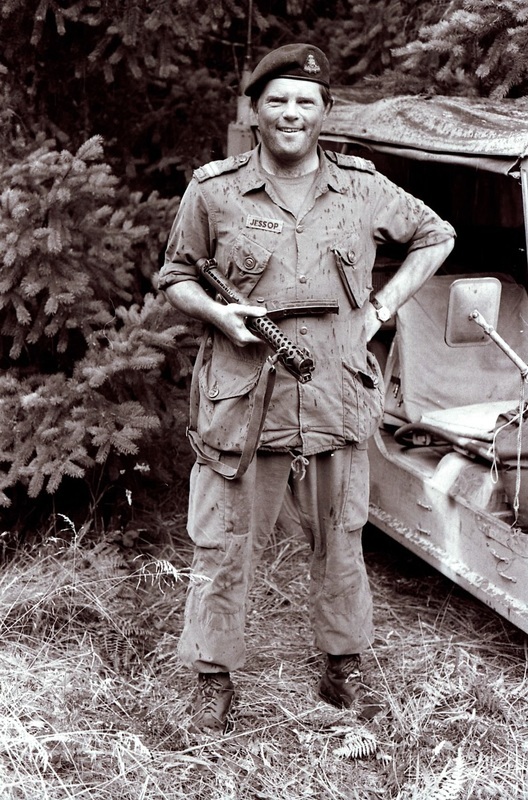 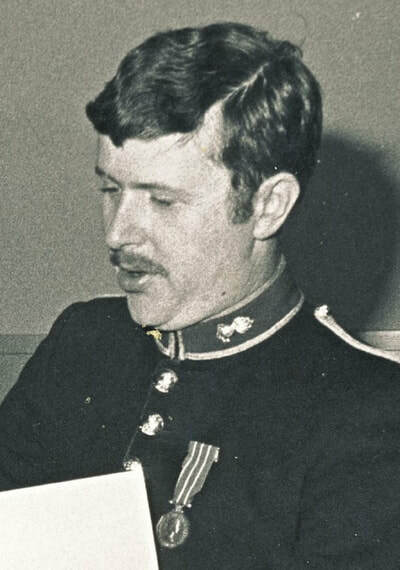 15 September 1978 - Lieutenant Colonel William (Bill) T. Wickett, CD was transferred to Area as Senior Staff Officer before promotion to Colonel and appointment as Commander, Victoria Militia District. 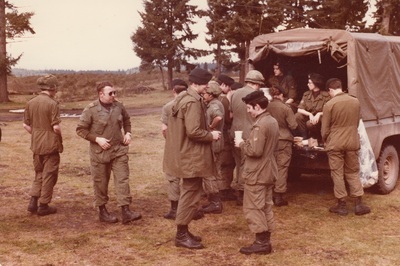 One of his duties was to command the Area Tactical Headquarters during MILCON 78 in July. 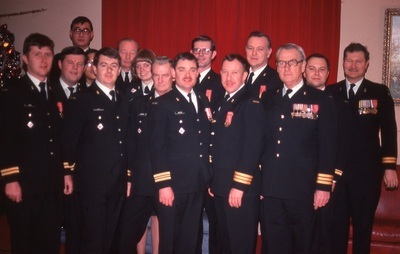 The Tactical Headquarters had a substantial Gunner contingent which included Captain Laschuk, Lieutenant-Colonel William (Bill) T. Wickett, Lieutenant Del Motte, Lieutenant Brown. Major R Vic Stevenson Commanding Officer. Lieutenant Pat H Smith Training Officer. 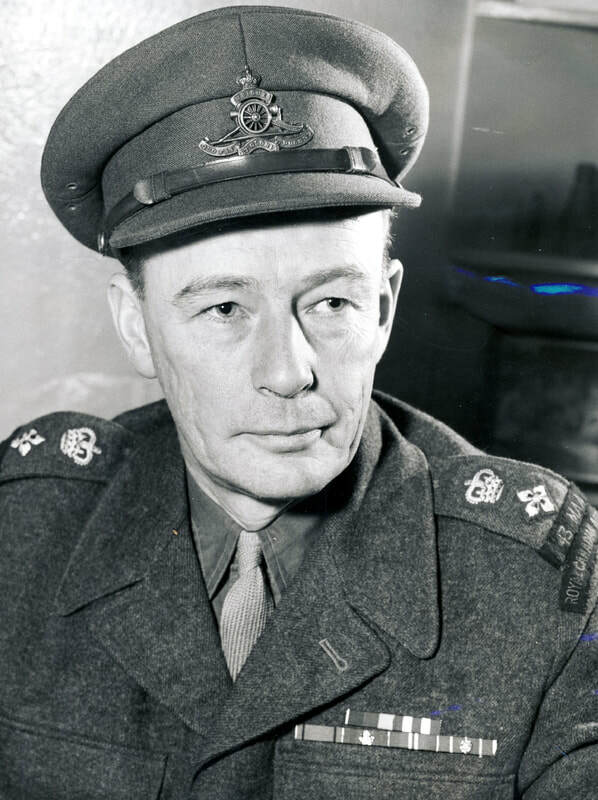 Lieutenant EE Johnson posted to 3rd Regiment Canadian Horse Artillery. 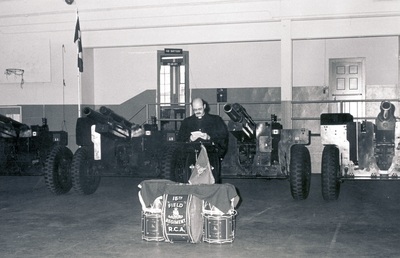 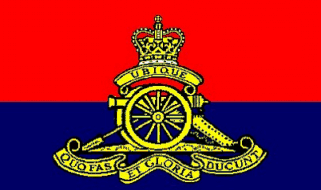 Master Bombardier Colin V Norris posted to "E" Battery (Para) 2nd Regiment Royal Canadian Horse Artillery. 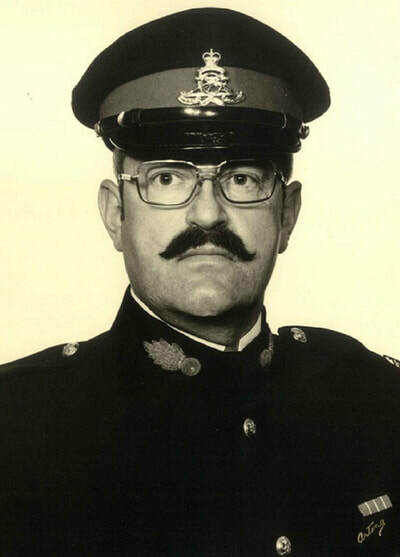 Lieutenant Gary S Woloski posted to 2nd Regiment Canadian Horse Artillery. 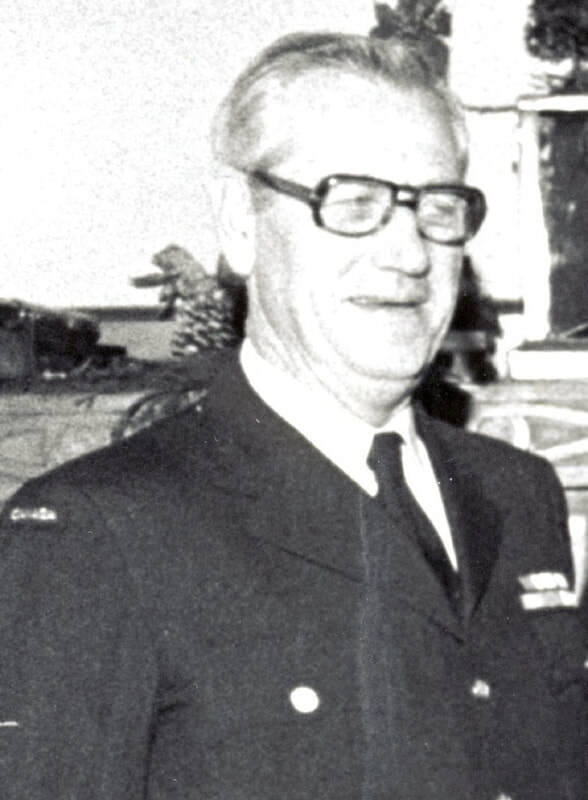 Captain John Jessop at the end of MILCON 78 with a 9mm Stirling Sub-Machine-Gun (SMG). 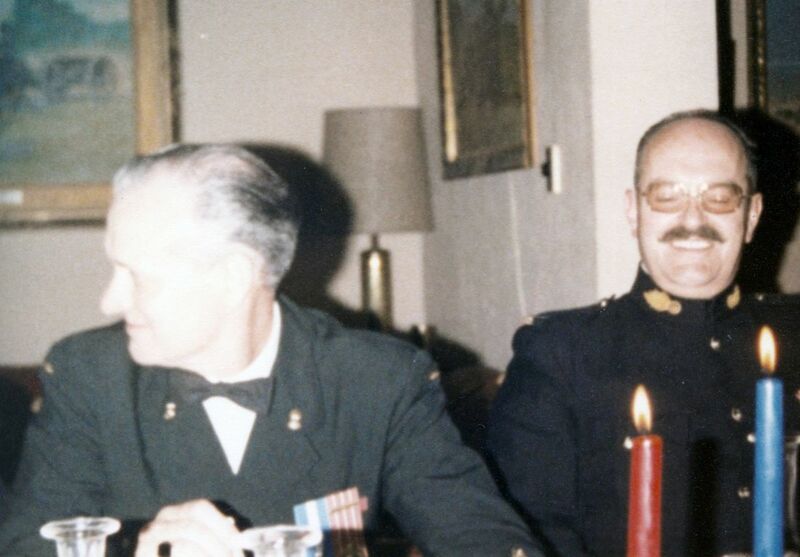 By the looks of Captain Jessop’s eyes, there probably wasn’t much sleep the night before. The night was either filled with coordinated illumination shoots or the final advance to contact with the enemy force. 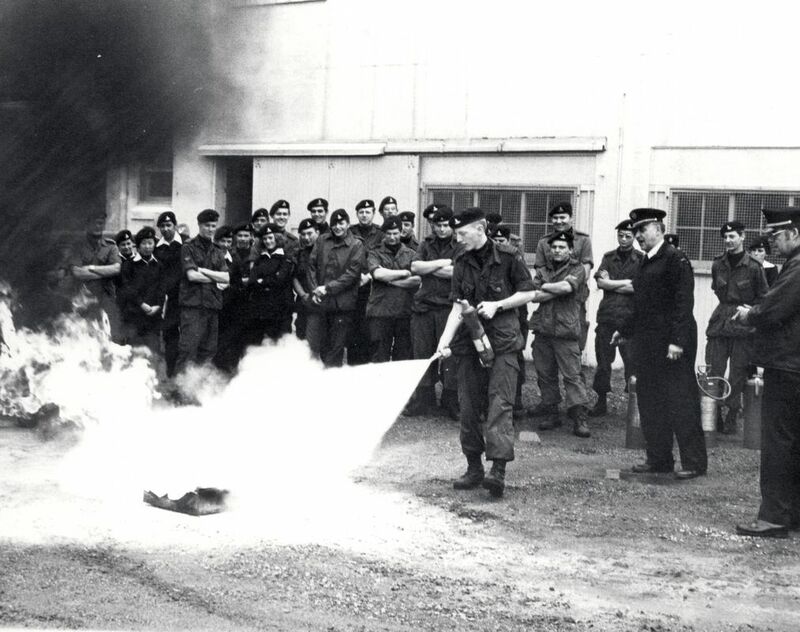 The unit conducts their annual fire extinguisher training with the support of the Base Chilliwack Fire Marshall. 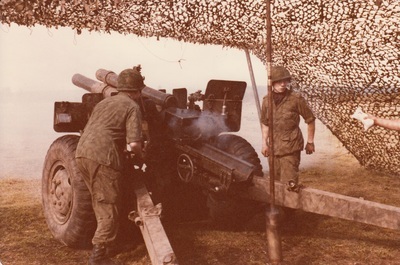 Private Colin Parkinson aggressively douses the fire. 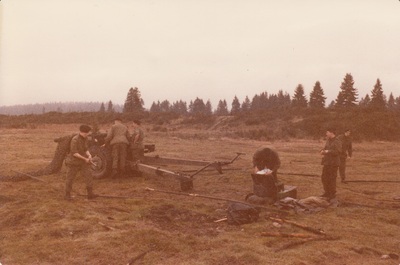 The advantage of not having the compound paved was that these types of drills could easily be performed on the gravel surface (The compound was also a great place to bury the pig in a traditional Fijian Pig Roast - but that's another story). 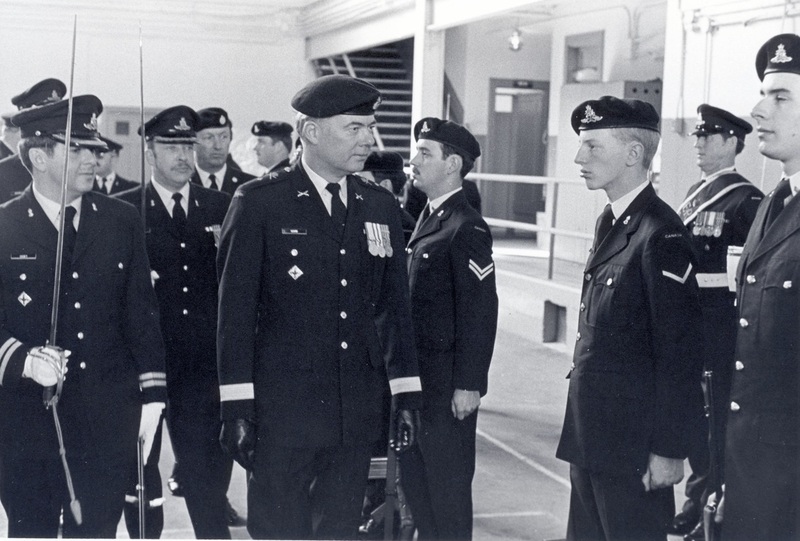 It's the last New Year's Day Levee for Lieutenant-Colonel Wickett as Commanding Officer of the Regiment. 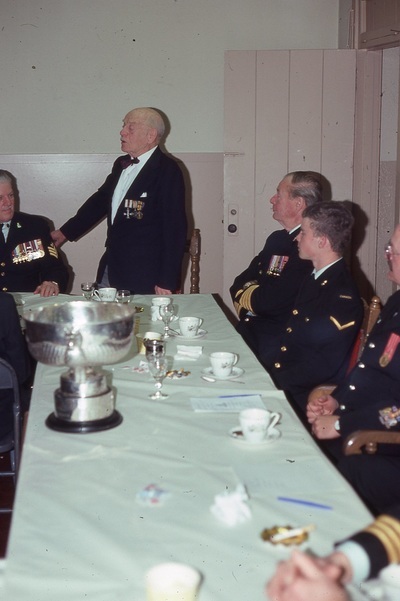 In attendance is Captain Peter Erwin, Honorary Col Graham Blyth, Captain Art Gee, Lieutenant Leo Kung, Captain Martin Casey, Captain Red Harrison, Major Bob Mugford, Major Stuart McDonald, Major Barrie Hamilton, Honorary Lieutenant-Colonel Griffiths, Lieutenant EE (Ted) Johnson. 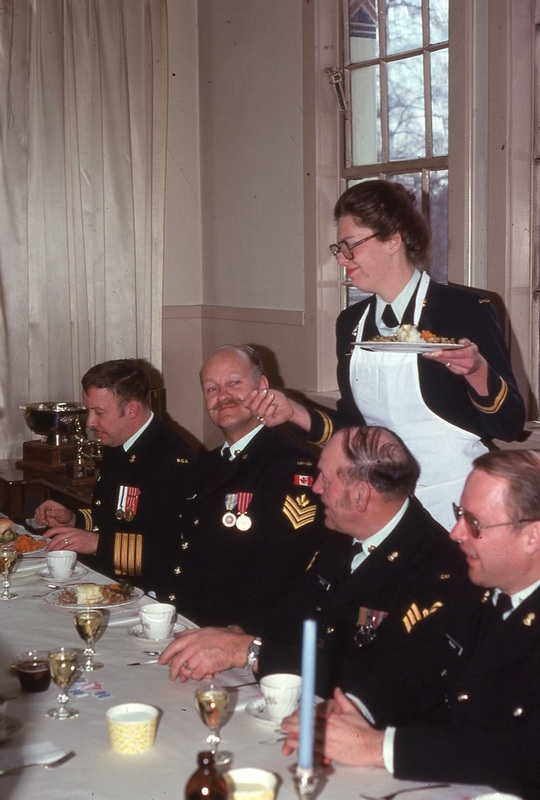 The Commanding Officer greets the Warrant Officers and Sergeants as they visit the Officers Mess. Warrant Officer Brian Hill, Warrant Officer Leon Jensen and Warrant Officer Richard Van Slyke. 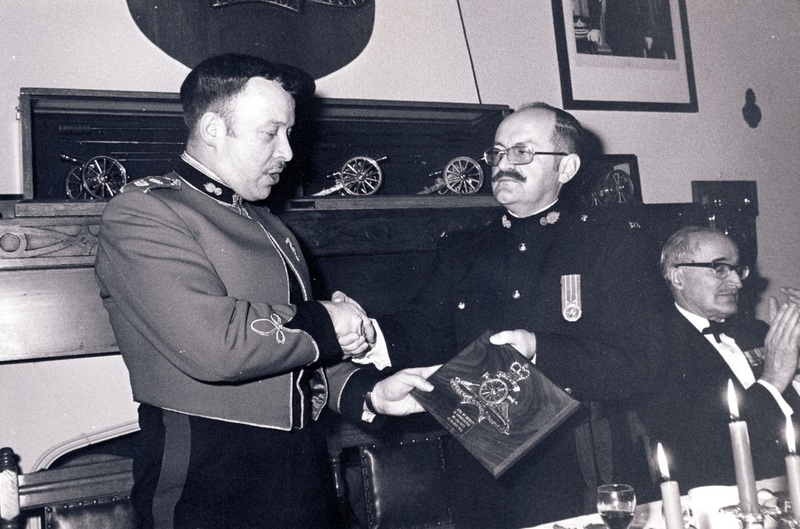 The Annual Dinner is an appropriate time for the Regimental Sergeant Major to provide tokens of appreciation from the members of the Sergeants’ Mess. 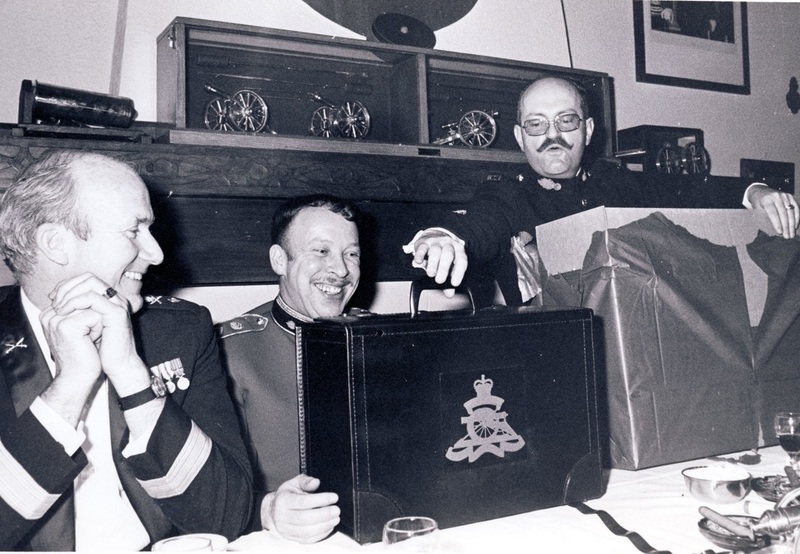 It was felt appropriate that the outgoing Commanding Officer, Lieutenant Colonel William (Bill) T Wickett, CD should receive an artillery themed briefcase prior to taking on his new role at the District Headquarters in addition to an Artillery plaque for the new office. 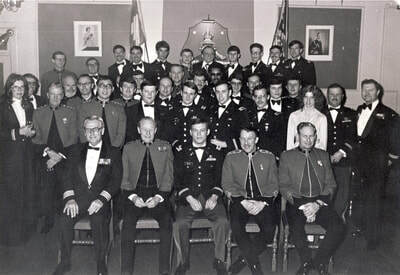 The Sergeants' Mess held a retirement dinner for Master Warrant Officer Fred Rossi CD. 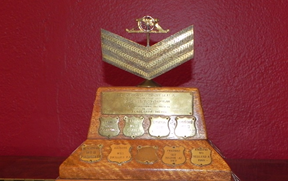 This trophy is awarded to the most efficient member of the Sergeants’ Mess as determined by the displayed rating system. 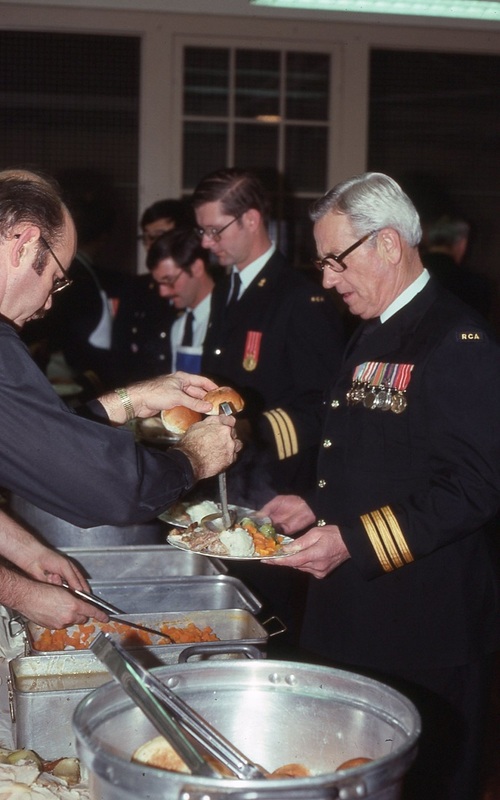 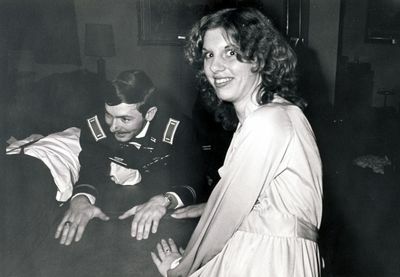 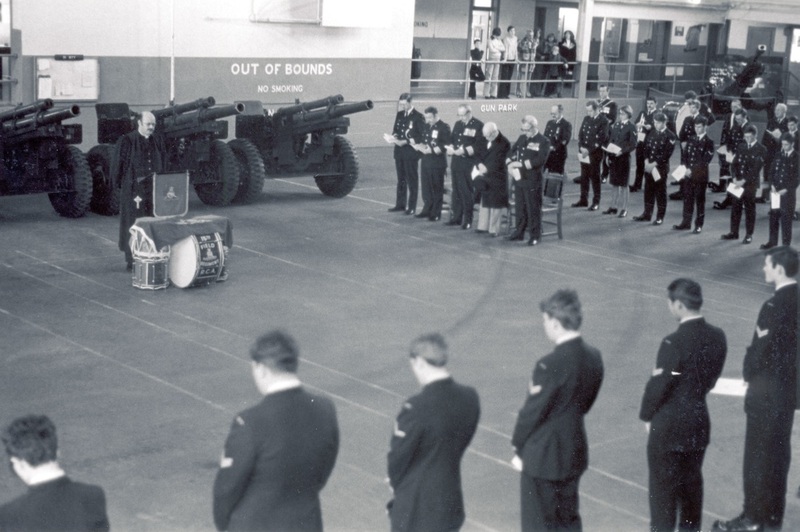 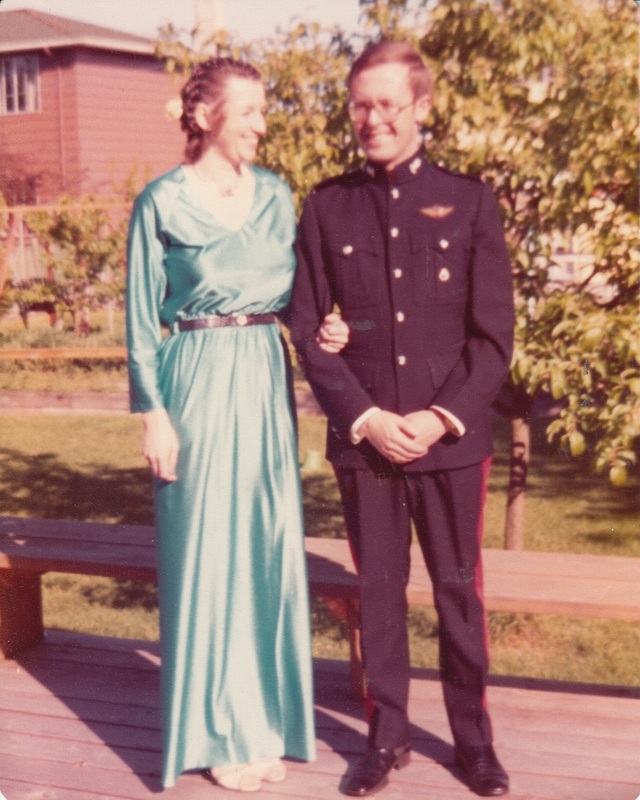 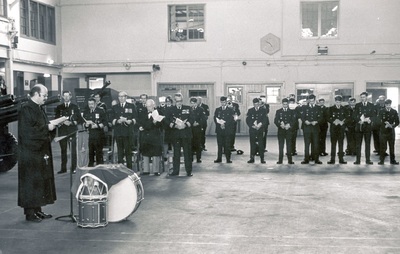 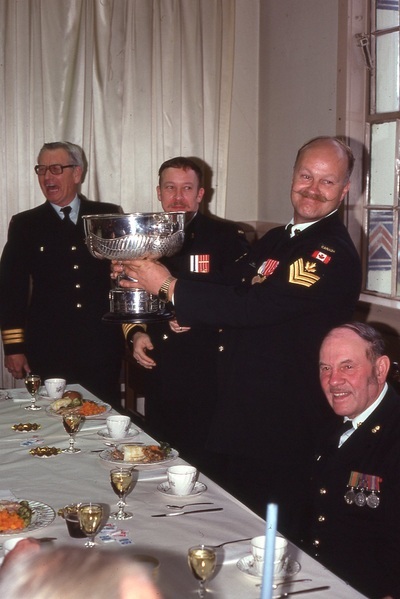 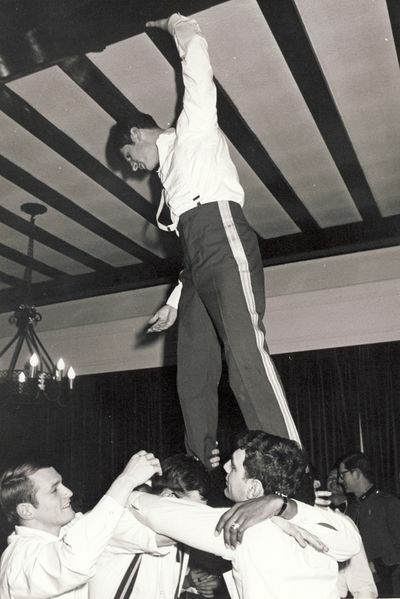 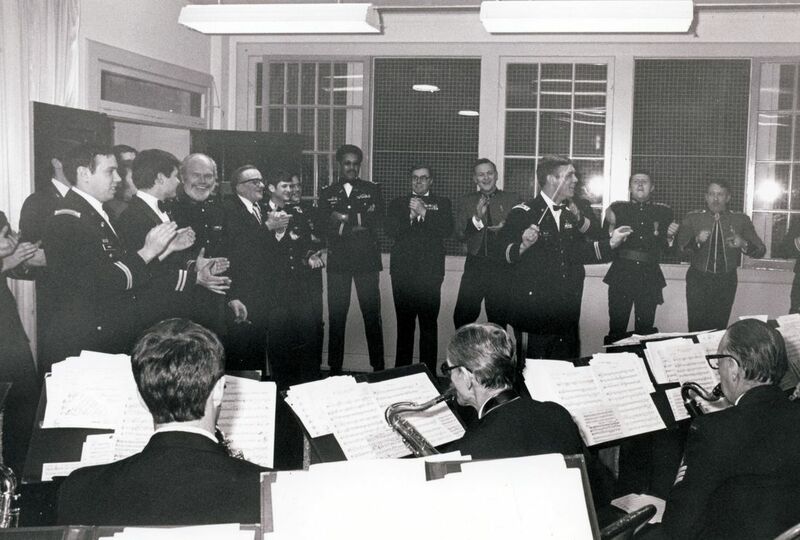 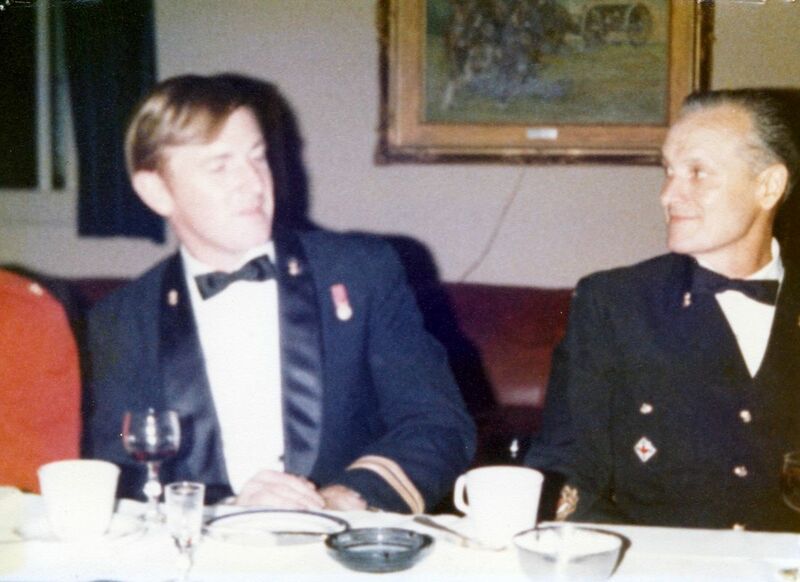 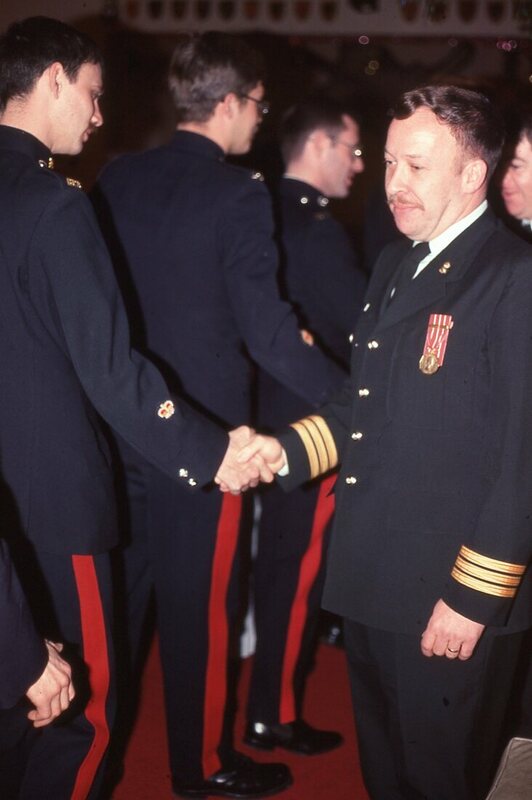 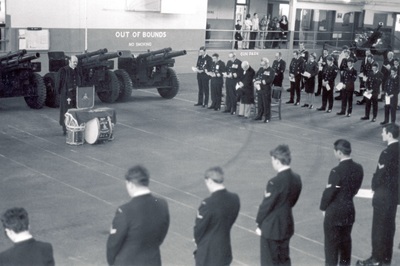 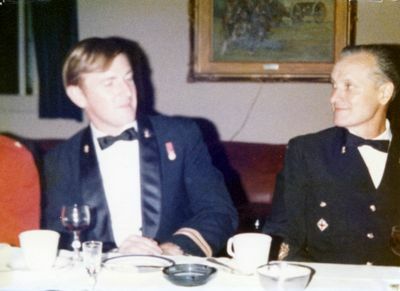 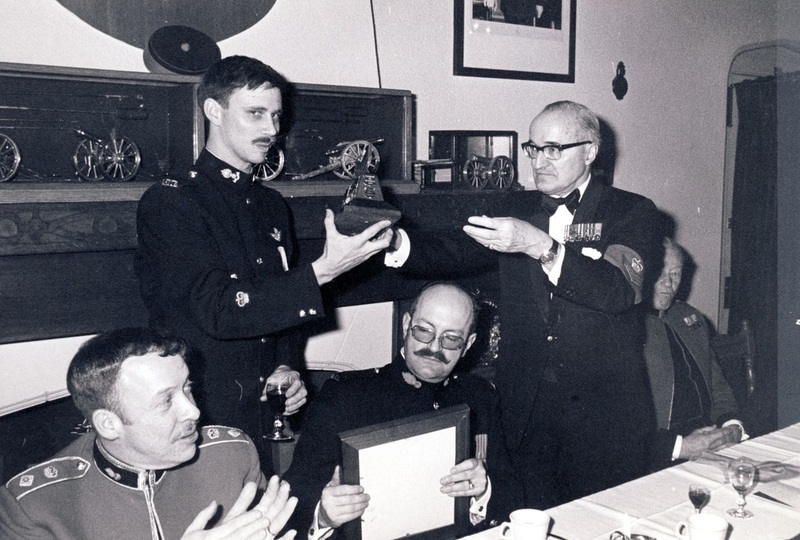 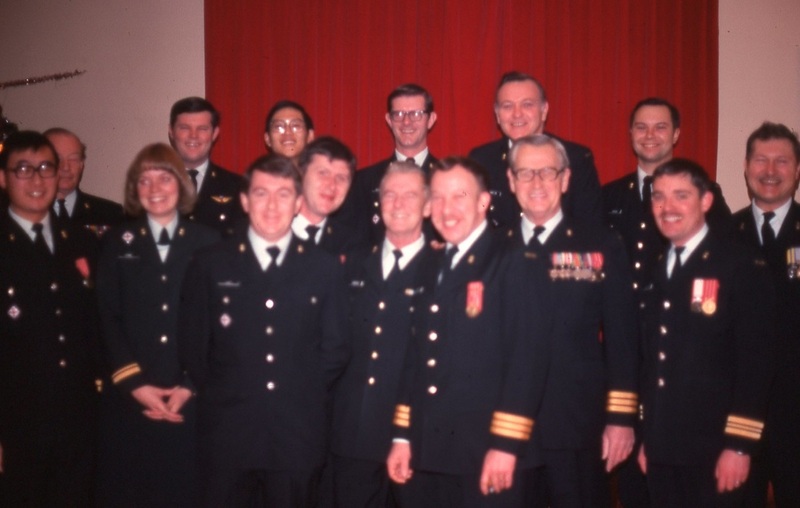 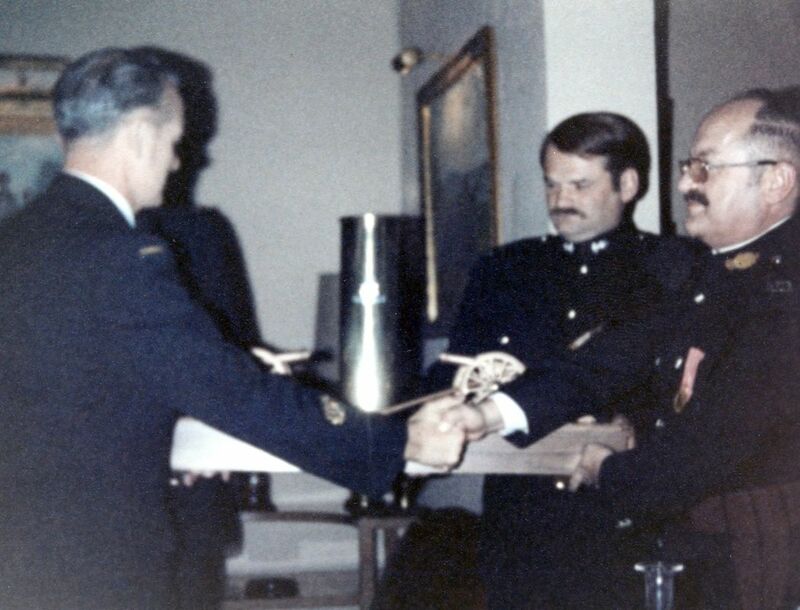 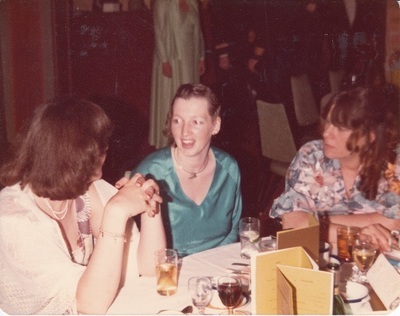 Warrant Officer Brian D Harmon was presented the trophy at the Warrant Officers’ and Sergeants Mess’ Annual Dinner for his performance during 1977. 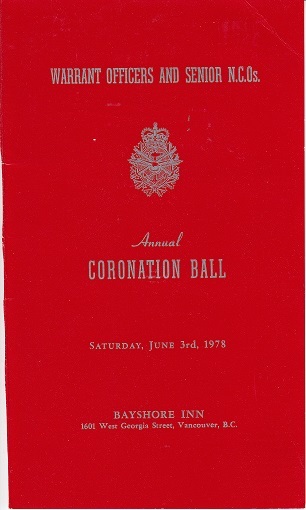 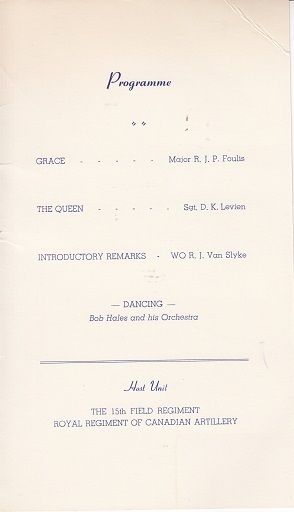 The 15th Field Artillery Regiment, RCA WO’s and Sgt’s Mess was the hosting unit for this year’s Coronation Ball which was held at the Bayshore Inn.